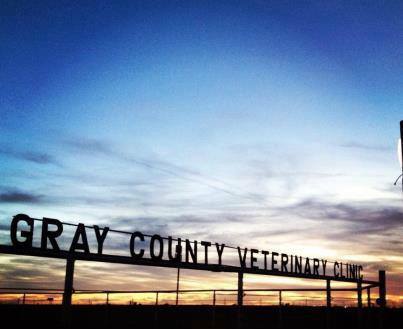 Gray County Veterinary Clinic is proud to serve Pampa, TX as well as White Deer, Lefors, McLean, Miami and the whole Texas Panhandle. We are dedicated to providing the highest level of veterinary medicine along with friendly, compassionate service. If you have any questions about how we can care for your pet, please don't hesitate to call us at (806) 665-7197. Thank you! GCVC is amazing! They got my "baby" in when he had parvo at 3 months and saved him. He was there for a week and they did not mind us going to see everyday and me calling twice a day to check on our Zeus.They even called when he came home to check on him and see how he was doing. Other people that I know and don't live here in Pampa say that their vet clinic is not as great as GCVC. I am grateful to how they have treated all of my four legged babies and would not trust anyone else with them. Thanks GCVC. Our dog became sick while traveling through Pampa the day after Christmas. We found Gray County Vet Clinic, called and, although swamped, worked us in. Our big Bernese Mountain Dog rec'd some meds and we were soon back on the road. An hour later they called to let me know I had left my I-Phone there... Again, they helped me get re-united with my phone. Thanks for helping Merle and me! Happy New Year to the vets and staff!! At Gray County Veterinary Clinic, you can expect state of the art medical care for your four-legged companions. We believe in nurturing the human-animal bond and creating a harmonious relationship between people and animals. You can expect to be greeted by a courteous receptionist, clean exam rooms, friendly doctors, and caring technicians. We appreciate the role we get to play in your pet’s health care. If you have any questions or comments about how we can care for your pet, please contact us today at (806) 665-7197.